I thought of writing today about an exciting new plug-in that I’ve been playing with for creating, testing, debugging and deploying mobile widgets, to be precise – The Web Runtime Widgets. 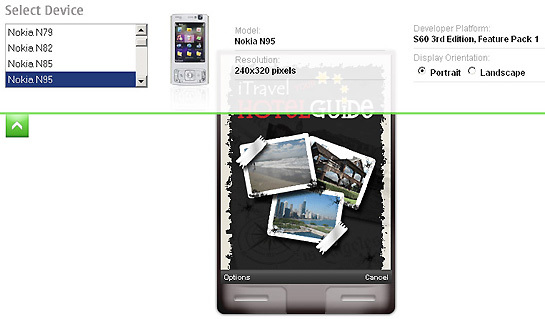 Forum Nokia recently went public with their WRT Widget Plug-in for Aptana Studio and Aptana Studio Pro. Of course the plug-in is still in Beta, but the coolest thing about this plug-in is the ease with which it allows widgets to be created and tested. It not only cuts down the development time but also saves us the trouble of continuously packaging our files for testing within the S60 Emulator and for debugging within Firefox. 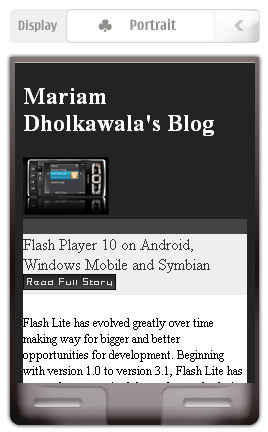 What’s even cooler is that it supports Flash Lite widgets, unlike the S60 emulator. You can test plain animations or interactive Flash content packaged as a widget. The ability to mark and unmark files that need to be packaged in the widget before the plug-in actually creates the complete widget for you. The ability to deploy your widget directly to your phone via Bluetooth or to the S60 Emulator for testing. Another feature that I would like to mention is the ability to pull down a panel and select a phone from a list of widget supported devices and test the content as per the screen resolution and orientation. Although this widget testing environment is not yet exactly similar to the S60 emulator or a real device in performance, and it is always advisable to test content in a real environment, this plug-in really helps to cut the initial debugging time. 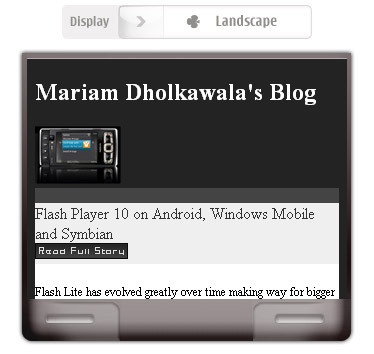 It is something like how the Flash Lite emulator was during its previous versions. I’m sure most of us would know about WRT widget development and packaging, but for those who would like to know more, widgets are small applications that can be installed and run in the same way as other S60 applications (jar & sis files). WRT widgets are generally suited for websites or web services that need to be optimized for use on devices. They consist of a basic .html, .plist and an icon file. The additional .css, .js and image files are optional. Flash Lite files too can be packaged and deployed as a widget.